I have two wonderful adult boys, two fantastic daughter-in-laws, and five grandchildren. Where to start ... married my highschool sweetheart Barry Barker in 1981 (also from Mount Royal). Spent over twenty-five years in the Printing Industry as a Graphic Designer/Art Director and then worked at the University Students' Union as the Site Manager of their Print Shop and Copy Centre. I attended the U. of S. much later in life and received by B.A.C. Went back the same year my oldest son started University. During this time I totally changed careers and now work as a Communications and Marketing Coordinator for a Government funded organization in the Health Industry. Barry works as a Carpenter for the Government of Canada at the Regional Psychiatric Centre (RPC) where he spends a great deal of his time working with inmates. It's a bit scarey at times, but he always has great stories to tell. We spend as much time as we can traveling and get away at least once a year for a bigger holiday. Barry and I both love the theatre and try to attend as many events as we can when we travel. Busy with grandchildren, attending their events. Every Sunday at our house is a big supper, so enjoy seeing my children at least once a week. I have to say I had a lot of fun in high school. So many fond memories that it is hard to just pick one. I do remember cheering at the Football games along side the Cheerleaders. Not sure why I never tried out ... must have been the uniform that scared me. 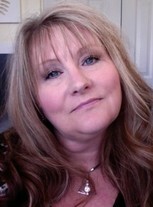 Pam Carnell Barker updated profile. View. Pam Carnell Barker changed profile picture. Pam Carnell Barker added a photo to profile gallery.